I think about this story a lot. It helps me press on with my Bible reading even when the text is difficult to understand. Here's the thing. As I continue to read though the Bible every year, I'm losing track of which parts I find difficult to read or hard to understand. They are getting less difficult and less confusing. I used to dread reading through the book of Numbers. I don't dread it anymore. And Leviticus is one of my very favorite books to read. I can't imagine NOT reading God's Word regularly. If I let myself get distracted and "too busy," I certainly notice it, and I regret my choice to let other things crowd out the Living Bread I need. In the comments, let me know your favorite verse(s) about the Word of God. The story is told of an old man who lived on a farm in the mountains of eastern Kentucky with his young grandson. Each morning, Grandpa was up early sitting at the kitchen table reading from his old worn-out Bible. "Papa, I try to read the Bible just like you but I don't understand it, and what I do understand I forget as soon as I close the book. What good does reading the Bible do?" The Grandfather quietly turned from putting coal in the stove and said, "Take this coal basket down to the river and bring back a basket of water." The boy did as he was told, even though all the water leaked out before he could get back to the house. The grandfather laughed and said, "You will have to move a little faster next time," and sent him back to the river with the basket to try again. This time the boy ran faster, but again the basket was empty before he returned home. Out of breath, he told his grandfather that it was "impossible to carry water in a basket," and he went to get a bucket instead. The old man said, "I don't want a bucket of water; I want a basket of water. You can do this. You're just not trying hard enough," and he went out the door to watch the boy try again. At this point, the boy knew it was impossible, but he wanted to show his grandfather that even if he ran as fast as he could, the water would leak out before he got far at all. 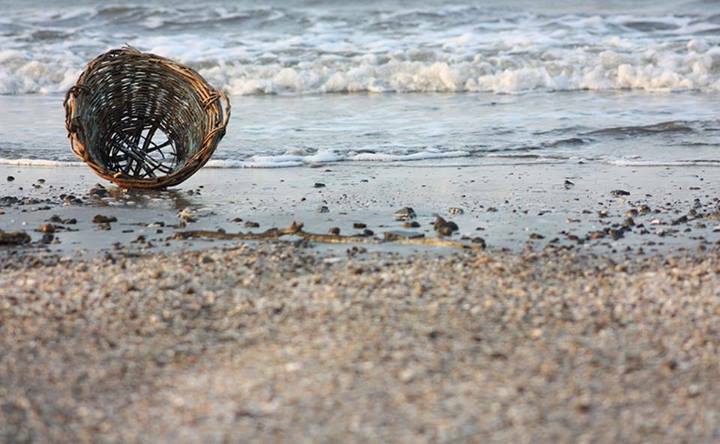 The boy scooped the water and ran hard, but when he reached his grandfather the basket was again empty. Out of breath, he said, "See Papa, it's useless!" "So you think it is useless?" The old man said, "Look at the basket." The boy looked at the basket and for the first time he realized that the basket looked different. Instead of a dirty old coal basket, it was clean. "Son, that's what happens when you read the Bible. You might not understand or remember everything, but when you read it, it will change you from the inside out. That is the work of God in our lives. To change us from the inside out and to slowly transform us into the image of His son. Take time to read a portion of God's word each day. Pray that He will use it to turn your heart and mind to Him. I've been helpmeet to Jim and keeper of the home since 1995. I have 6 kids: Rebecca (21), Micah (19), Adam (14), Abby (12), Levi (9), and Sarah (5). I'm a wife, homeschooling mom, sister, daughter, and friend trying to do everything I do as unto the Lord. And with tomorrow begins another. Why am I allowed two?" Definition: Full of mettle; spirited and plucky. New college prep curriculum ushers students through 17 great classic literature movies and guides them through writing paragraphs and essays on each one. Teach composition and literary analysis the easy way with our student and teacher resources plus 17 quality movies. I shall be satisfied, when I awake, with thy likeness."